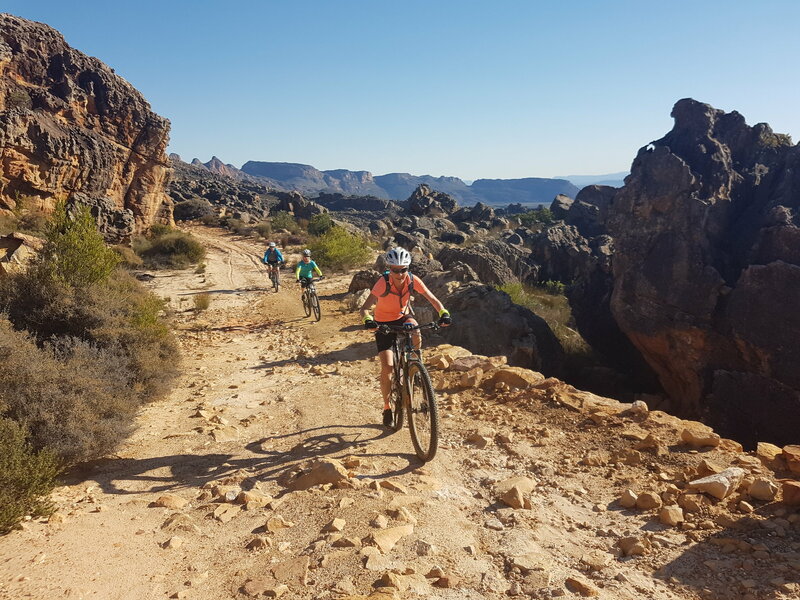 Cycle into the heart of the sublime Cederberg Wilderness area, with its ancient rock art, dramatic natural formations & wide-open spaces. We love this special place! Day 1 sees us embarking on our journey with an afternoon pick-up and 2.5 hour transfer to Piekenierskloof Mountain Retreat outside of the small town of Citrusdal. 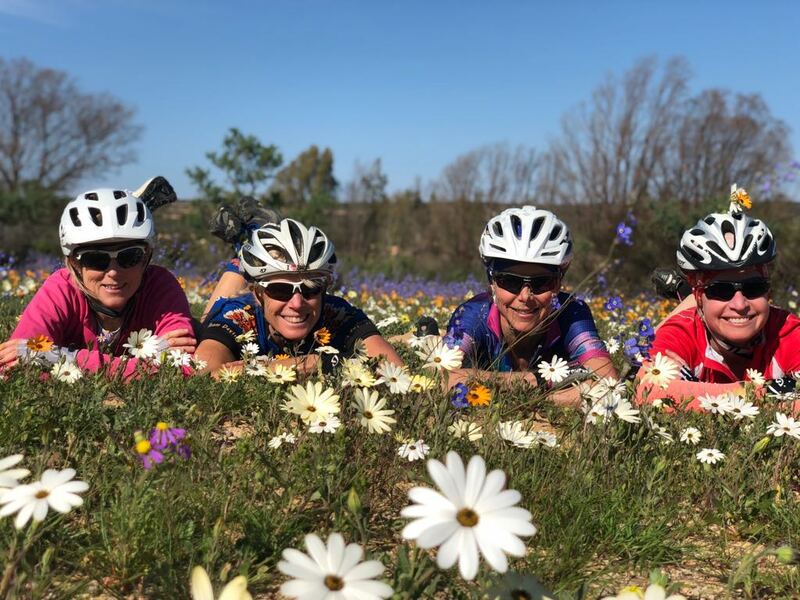 We ease into the ride with 20km of tar along the ridge of the mountains and then follow the Olifant’s River before climbing up into the Cederberg Mountains, skirting past Algeria and then a gradual decline all the way past Clanwilliam Dam and into town. Our ride continues down the river before heading into the hills, where the land is dry and expansive as we loop around the mountains, surrounded by amazing rock formations. 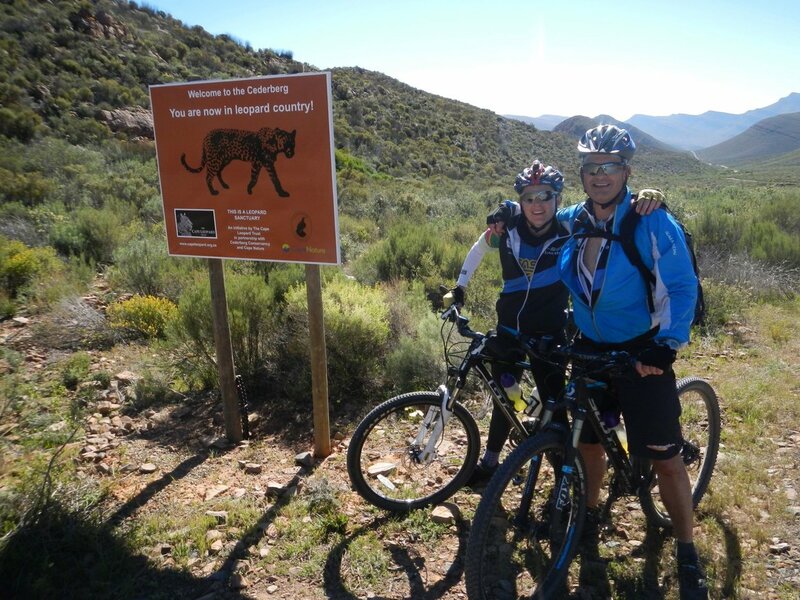 We enjoy a local lunch at Travellers Rest, before cycling back via the infamous Pakhuis Pass – a short, steep climb, followed by a loooooong downhill into Clanwilliam. If anyone feels cheated at this point, they can leave early and cycle the 20km tar climb up Pakhuis Pass. The bulk of riders however, will load up and transfer up the pass. From here we head off-road on the donkey cart route through Heuningvlei and on through the missionary town of Wuppertal. 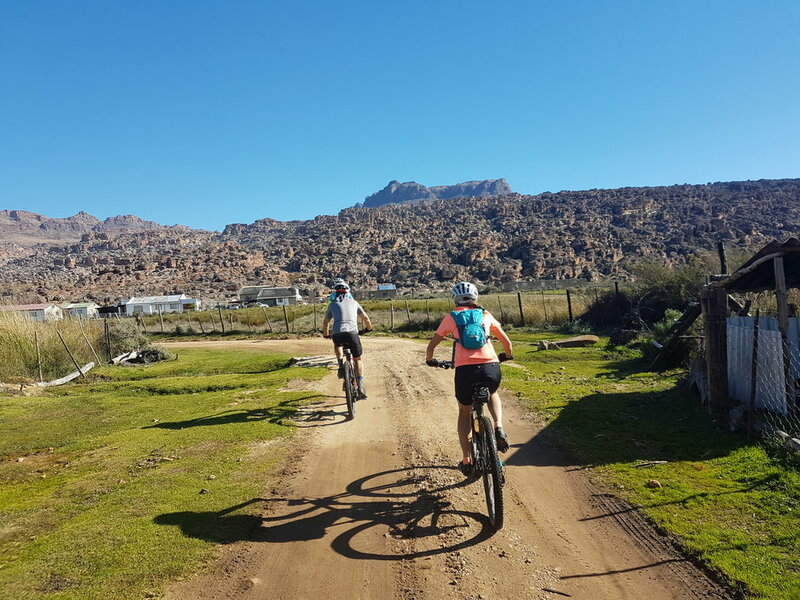 On the other side of this sleepy town is a steep and memorable concrete climb, before the ride levels out on sometimes rather sandy, but perfectly rideable track, all the way to Sanddrif Resort in the heart of the Cederberg proper. Here we overnight in simple cottages and enjoy some traditional fireside cheer under the stars. 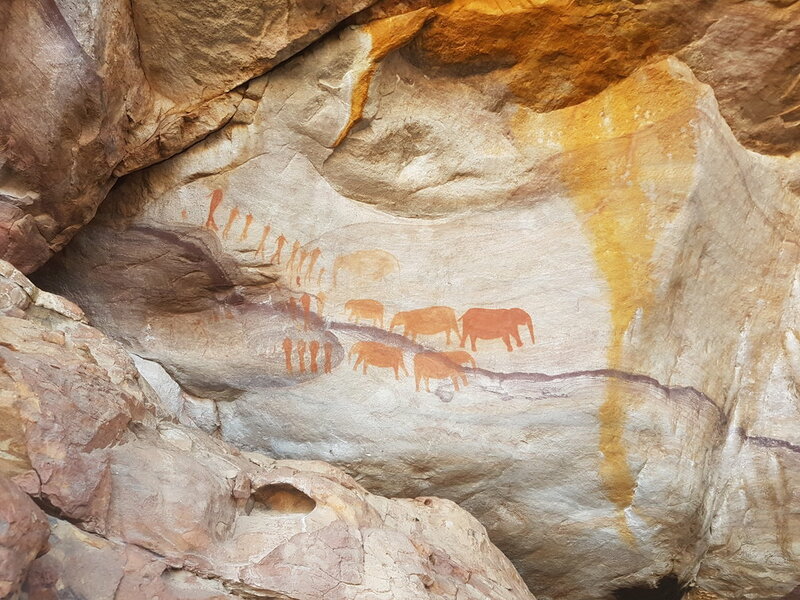 This is a short day, allowing for some wine tasting & exploration of the local rock art sites and awe-inspiring rock formations at the Stadsaal (City Hall) and Truitjieskraal, before cruising along the well-maintained dirt road to Mount Ceder Resort for a relaxing afternoon soaking in the tranquillity of this special wilderness area. There are still some big rollers to contend with as we head southwards down the valley between the mountains. After approx. 50km we load up and head back to the city, stopping for lunch at a secret location en route. If you are catching a flight home, do not book before 18h00. *E-Bikes are welcome on all our tours and – bring your own or rent from us. Now anyone who can ride a bike can be included! Price: R 14,850.00 p.p. sharing. *NB Reduced rate applies STRICTLY only if paid IN FULL by the stipulated due date and cannot be used in conjunction with any other discount or special offer. Single supplements are not discounted. 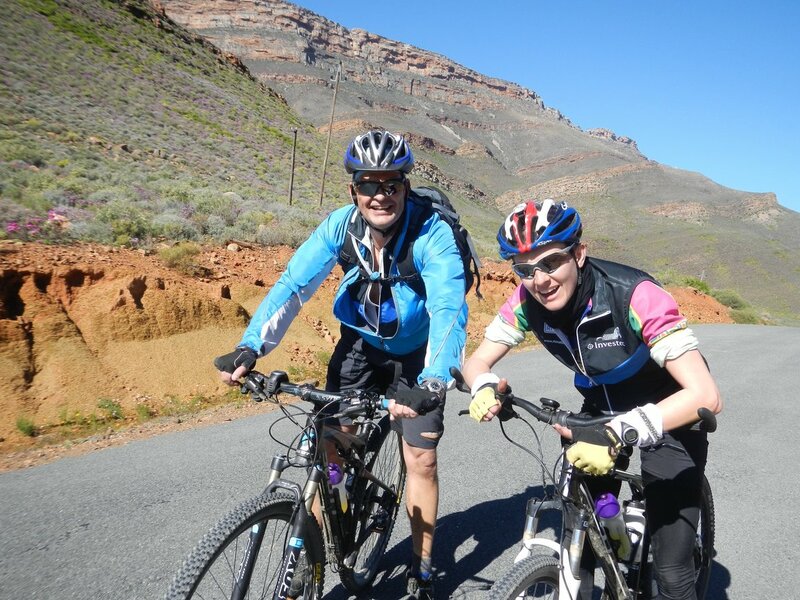 All participants are required to sign a copy of our indemnity form and wear a helmet at all times while cycling. Deposit – A non-refundable deposit of R1500 is required to confirm the booking. This must be paid within 48 hours from receipt of invoice or your spot will be automatically released. Balance Payment – Balance of payment is required no later than 8 weeks (56 days) prior to departure. Late applicants may, however, join the tour subject to availability. about tours and upcoming events. Please note that all participants are required to sign a copy of our indemnity form and wear a helmet at all times while cycling.